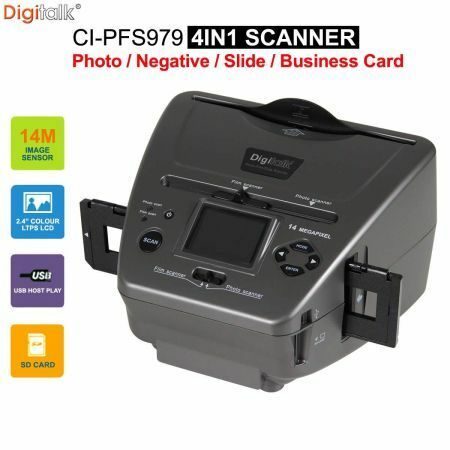 Scan your photos, film negatives, slides and business cards with the Digitalk 4 in 1 Combo Photo Film Slide Card Scanner. Convert your photos, 35mm film and slides into digital JPEG files which you can transfer via USB to PC and safely store on your digital devices and share with friends and family. This Photo Scanner features a 2.4" colour LCD display so you can preview your scans.